This FAQ is a starting point for those new to contacts or who have questions. See an eye doctor before considering contact lenses - you are solely responsible for your eyes! If you have questions concerning contact lenses, please post them here as you are likely not the only one with that question! 6.) Bad Vision, Astigmatism, Crazy Sizes, etc. 10.) What Not to Do With Lenses! 11.) Emergency Situations & Issues: Lost lenses etc. b.) [URL="http://www.cosplay.com/showpost.php?p=3179369&postcount=58"]Shop according to starting price range! [COLOR=Blue]Yes, contact lenses are not one size will not fit all. At your appointment you will get a prescription for vision correction if needed, base curve, and diameter. Even if your country doesn't require an eye exam, you still need a proper fitting lens made of a material compatible with your eyes. Lenses that aren't right for you can mean discomfort, inflammation, swelling, abrasion, lack of oxygen to your eyes, or could in rare cases result in permanent tissue damage and blindness. Your eye doctor will also show you how to insert, remove, and properly clean and store your lenses and may give you some trial lenses too. Also, your eye doctor should be able to obtain any lenses you want. It's easy, safe, and reliable. [B]Can I get lenses without a prescription? [/B]Contact lenses are considered medical devices and require a prescription to purchase them (US). Many foreign countries don't have this law. My eye doctor asked me to come back after he fitted me with lenses &#8211; why? This visit is to check that you are not experiencing any discomfortdue to the lenses. This visit is generally included in your initial lens fitting fee. I wear glasses - can't I just use the same prescription? No. Contact lenses are worn on the eyes versus lenses in your glasses are a set distance in front of them. The prescriptive powers will be completely different. You can wear plano lenses and your prescription glasses over them. What: are you using them for? To add to a cosplay, to get glasses off your face? When: will you wear them? 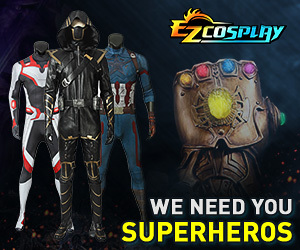 Just for that one cosplay or can they be used for many costumes or daily wear? When: do you want them? During peak seasons like Halloween, offices and shops experience an influx of appointments and purchases, plan ahead. Are: you responsible enough to take care of your lenses AND your eyes? What are some different types of lenses? [U]Circle Lens[/U] &#8211; Popular in Asia, lenses that make eyes look bigger. Why are Base Curve and Diameter Important? Is there an age limit to contact lenses? Age is no longer a problem! There are bifocal lenses and lenses that are great for chronic-dry-eye sufferers. 1.) [U]Money[/U] &#8211; they aren&#8217;t cheap especially if you have a high prescription or astigmatism. Young people&#8217;s eyes can change a lot. Can you afford to keep updating your prescription frequently if need be? 2.) [U]Responsibility[/U] &#8211; You have to be meticulous about cleaning your lenses or you will run into trouble. If you feel you are responsible enough to properly handle lenses but your parents are still iffy, suggest a trial period where you can &#8220;prove&#8221; that you can handle this responsibility. No. The eye is basically a closed pocket. Should you disturb your lens by rubbing your eye, it may slide under your upper eyelid. Try applying rewetting drops and blink a few times, the lens will usually drop down &#8211; or see your eye doc if you still can't locate it for quick & easy removal. No! Lens-related problems can occur but they are generally related to ill-fitting/damaged lenses, wrong material/lens type for your eyes, and improper cleaning/care of lenses. I heard Circle Lenses are really bad for your eyes and can cause eye/vision problems! Is that true? Circle lenses are popular and as a result are sometimes counterfeited. Be sure you buy a legit pair of lenses that fit your measurements. Take care of your lenses and you'll be fine. I heard contact lenses turn to glass and shatter in your eye if they get dry! No-When your lenses are dry, they will be uncomfortable to wear and may pop out, that's all. 1: Wash hands thoroughly & avoid using soaps with heavy oils, fragrances, and lanolin. 2: Cover your sink drain so you don't lose a lens. 3: Gently shake your lens case to free any lens that may have settled. Do not attempt to pull a lens off the side of the case as it may tear. My prescription is pretty strong > -6.00. What are some brands that carry lenses in a power I can use? [URL="http://www.contactlensheaven.com/colored.html"]HERE[/URL] is a list of colored lenses available in a range that will work for high prescriptions. Other brands that aren't on that list are Acuvue 2 Colors, Illusions Opaque, Trucolor Elite, and Focus Softcolors Monthly. Many circle lenses range from 0.00 to -10.00. However, it will often depend on the seller and whether they have chosen to stock powered lenses. Circle lenses, originally developed in Asia, are a type of contact lens which often come in a slightly larger diameter with the color and a dark limbal ring (circle) printed nearly to the edge. The larger lenses make eyes appear larger, other lenses simply change eye color. Circle lenses can be worn by Asians and non-Asians. i think if we add something like shipping time to certain countries and price ranges, reliability that'll help? Circle lenses can come in plano, prescription, and toric. Standard colors include blue, green, violet, gray, hazel, brown, and black. [U]They are no more likely to cause vision problems than any other contact lens[/U]. Be sure that you are buying an approved brand from a reliable source. Eye docs say it is ok to rinse your case in very hot water and dry it when not in use. What lens solution should I get? Ask your eye doctor which one is best for your lenses. Many solutions are all-purpose and one bottle cleans, disinfects, and stores lenses but this will vary by brand. Can I switch lens solutions? It&#8217;s advisable to stick with the solution and cleaning system your eye doctor starts you off with. Every solution has a different chemical makeup and some can contain harsh preservatives which could mean bad news for your particular lenses. If you feel the need to switch, contact your eye doctor for advice first. When not in use, how often should I switch my solution in the lens case? Weekly is the most common answer - you don't want bacteria to build up on the lenses when they're in storage. Do I need to buy one of those contact lens cleaning machines? These are not necessary but they are nice to have. Think of them as small washing machines for your lenses. You can remove your lenses and put them directly into the machine. The machine then cleans and sterilizes your lenses more effectively than by hand. Machine-cleaning also lowers the risk of tearing and damaging lenses. However, you're meticulous, cleaning lenses by hand will be sufficient. The amount of time you can safely wear your lenses should be marked on the lens packaging/vials. In many cases for cosmetic lenses it's 6-8 hours. The reason is that the print/color on these lenses restricts more oxygen to your eyes than regular contact lenses would. For scleral lenses, which cover the entire eye, or custom theatrical lenses, daily wear time is usually much less and is usually due to the decreased oxygen flow to your corneas or sometimes lens material. How long can I keep my lenses and wear them? Let's say you have lenses that expire 06/2012 and are good for 6 months. What does this mean? 1.) If left unopened, your lenses are good until that expiry date. 2.) Once the vials are opened, the lenses theoretically can be worn daily for 6 months or sporadically for that amount of time. With proper care, your lenses will remain comfortable and safe to wear for the indicated amount of time but it is advisable to discard the lenses when you notice changes in how they feel, if they appear damaged, and most certainly by their absolute expiry date (which in the example was 06/2012). Note that daily, weekly, bi-weekly, and monthly disposable lenses are only made to last as long - adhere to these timeframes. Is it safe to piggyback/layer plano cosmetic lenses with my prescription lenses? [COLOR=Red]Answers will vary &#8211; ask your eye doctor. There are medical situations where piggyback fit lenses are prescribed to patients (post-cataract surgery, keratonconus etc etc) and it will also depend on your lenses. But before you go doing anything &#8211; consult your eye doctor who knows your eyes best. Unless your lenses are specifically designed for that (extended wear), do not sleep with your lenses in! Most lenses do not allow enough oxygen to get to your corneas when the eyelid is shut over it. This in turn can lead to blood vessels growing deeper in your eyes, infections, lid changes, allergies, corneal warping, corneal swelling and possibly even blindness. Take your lenses out, clean them, and rest easy. Is it ok to share contact lenses? Very bad idea due to the risk of infection. Everyone&#8217;s tears contain an amount of normal bacteria. You know how sharing eye makeup can spread pink eye, your eyes are even more susceptible to infection when putting something IN them. Can I swim with my lenses in? Ask your eye doctor about your particular lenses. It's always a good idea if you're actually swimming (going underwater and all) to wear swim goggles as they will protect your eyes from chemicals and bacteria that can be in the water. Some people who wear daily disposables wear their lenses and toss them post-swim too. Just check with your doctor. No. Once your cleaning solution has been dispensed, do not reuse it. Likewise don&#8217;t let the top of the bottle touch any surface and be sure to recap the bottle after use to prevent contamination. Can I rinse my lenses in tap water instead of solution? Tap water can contain microorganisms and chemicals that are bad for your lenses. I know that sites like that are basically similar to buying contacts from The Alley here...which is just what I said, and alley. Basically think if you're not going to buy contact lenses from a shady, old, dirty looking man in a dark alley, then would you buy from these places. It's the same thing more or less. Yeah, I think it might be a good idea to edit the link text and not call them "dangerous." Like you said, the Asian lenses sold there have been approved by their own FDA; since they aren't approved within the US, it would be reasonable to approach with some caution and keep in mind that your purchase isn't exactly legal, but calling lenses from reputable Korean companies dangerous doesn't seem quite fair. And as for the sellers themselves, I've bought from both Color Lens 4 Less and The Dolly Eye, and both the service and lenses were great. I think a more important thing to note is the possibility of getting counterfeit lenses, since those do have a better chance of being harmful. [U]Enhancers[/U] are designed to enhance light eyes. They will make blue or green eyes more vibrant or add a tint to give an in-between color like aquamarine. Think of enhancers like water color paints: they provide a wash of color over something already light. [INDENT]Enhancers will only work on light eyes. They make no visible change on dark eyes so do not bother wasting your money on them if you do have dark eyes. Opaque[/U] lenses are just that, opaque. The coloration will be opaque so that it can completely cover the natural eye color. Returning to my art supply reference, opaque lenses would be like pure acrylic paints which will completely cover the surface obscuring whatever color was underneath. One nice thing about circle lenses is that they were designed with the Asian market in mind, meaning the lenses will by very pigmented to show well on very dark eye colors. [INDENT]Opaque lenses can be worn by people with light and dark eye colors. When considering a particular brand or pair of lenses, the trick is to look at images and reviews posted by people who own the lenses. Often times sellers use photoshop to make the lenses look more vibrant or completely change the color. [/INDENT][U]Color payoff[/U], or how well a color shows, will depend greatly on how pigmented the lens is. Fun or theatrical lenses are probably the most pigmented/opaque lenses available. Cosmetic lenses can vary as some may try to blend part of the wearer's natural eye color such as the Freshlook Colorblend lenses. [B]1.) Enhancers = for light eyes only! 2.) Opaques = for anyone! 3.) However, do your research: [/B][INDENT] a.) Some sellers shoop pics - what you see is not always what you get. b.) Lenses designed for dark eyes, e.g. circle lenses, may not have the same effect on light eyes. I've bought outside the US though, and the contacts I've received were fine. This all makes sense though, and I'm glad somebody cleared it up for me. When I read the site I was all "Oh no FDA doesn't approve, maybe they're bad places?!" Bottom line: Any contact lenses can damage your eyes. The key is to properly handle and care for them so you don't damage your eyes. Circle lenses are slightly larger than regular contact lenses but smaller than full-eye sclera lenses. A dark limbal ring, the outer ring around the iris, is on the edge thus making your eyes look larger. Circle lenses are obviously very popular in Asia. All the people who've worn them haven't gone blind or suffered eye damage so not ALL circle lenses are bad. I'd be most concerned about receiving counterfeit lenses made from sub-par, unsafe materials. However, a visit to the eye doctor can procure the FDA-approved lenses you mentioned and all the information needed proper wear, care, and handling of circle lenses. Good luck!